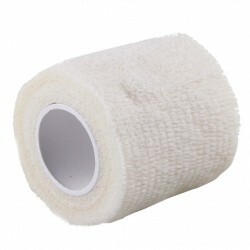 Genia Strap Band Cohesive Bandage Bitter Taste is an elastic cohesive bandage with a bittering agent that aims to prevent pets chewing and tearing at their bandages. 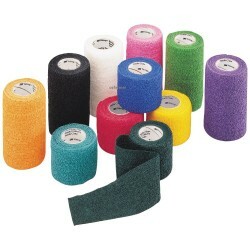 It is self adhesive, without sticking to skin and hair. Easy to apply. Self-adhesive, without sticking to the skin or the hair. Strong and pleasant to apply. Easy to cut, no scissors needed. The bandage is impregnated with Denatonium Benzoate (widely used for this purpose in products such as nail polish) and which is a bitter tasting repelling agent. 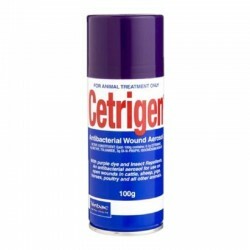 This ingredient is harmless in all other aspects, but it does solve the problem of your pet or horse trying to bite the bandage off. 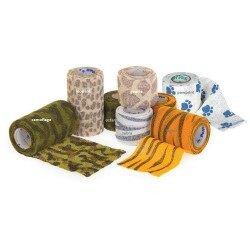 Each roll is 4.5m long stretched (2m unstretched) and are individually wrapped. 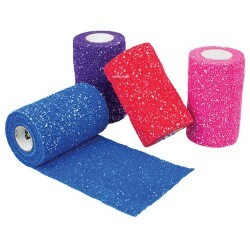 Available in 5cm 7.5cm and 10cm widths in purple only. 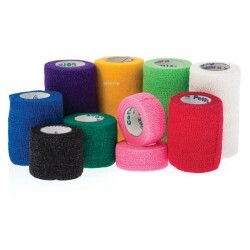 This cohesive bandage is not as stretchy or as spongy as some cohesives, making it a nice alternativ.. 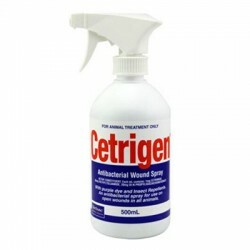 Contains an antiseptic to protect wounds from infection CETRIGEN contains cetrimide, a well kno..